If you’ve been searching for the perfect location for your Destination Wedding, stop there. We, at Zankyou, have compiled a list of some of the best settings in Rome for the wedding you’ve dreamt of since you were a child. Italy’s capital, of course, is home to some of the most picturesque streets. So, we’re sure you’ll no have problem getting the best photos from some of the best photographers in the world. But as for the locations, you’ll need to take a look at our suggestions to find the one perfect for you. After all, what would the kiss between Anita Ekberg and Marcello Mastroianni have been without the crystal waters of the Trevi Fountain, the only witness to one of the most romantic moments in film history? The Eternal City is synonymous with love not only on the big screen and for good reason too. 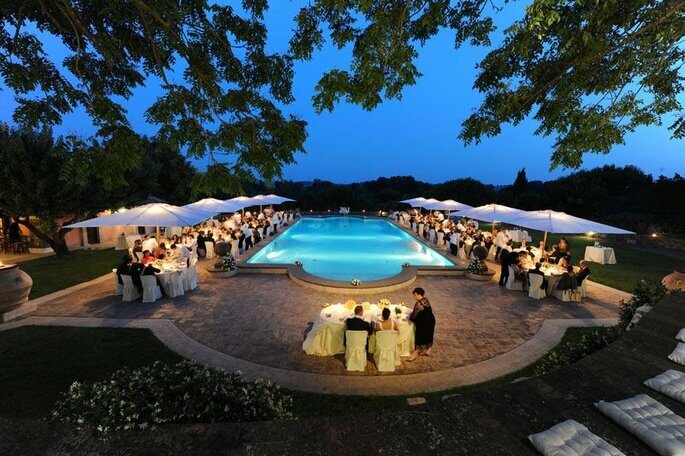 There are incredible villas, historic castles, farmhouses in the nearby Lazio countryside, exquisite restaurants and even a sparkling beach location for a more tranquil wedding, or spectacular reception rooms in the Appia Antica. 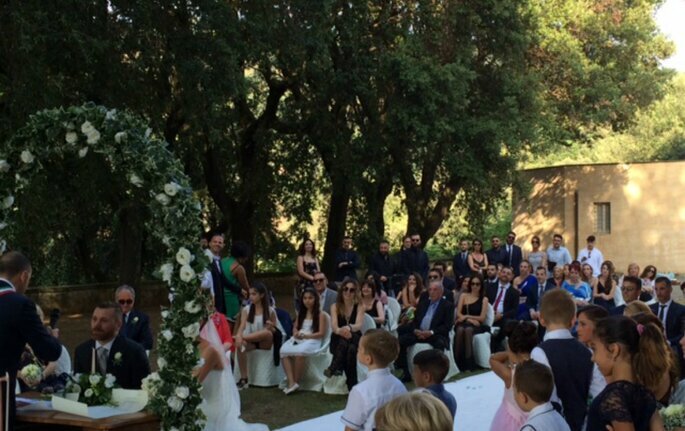 In short, if you have decided to get married in Rome it will not be easy to decide where, given the choice, which is virtually unlimited. What to do next? First, identifying which avenue you want to go down for your ceremony; do you want an intimate wedding, or a party with lots of guests? Classic dining table, or the modern buffet? A casual party, or perhaps a wedding weekend or a gourmet food selection. 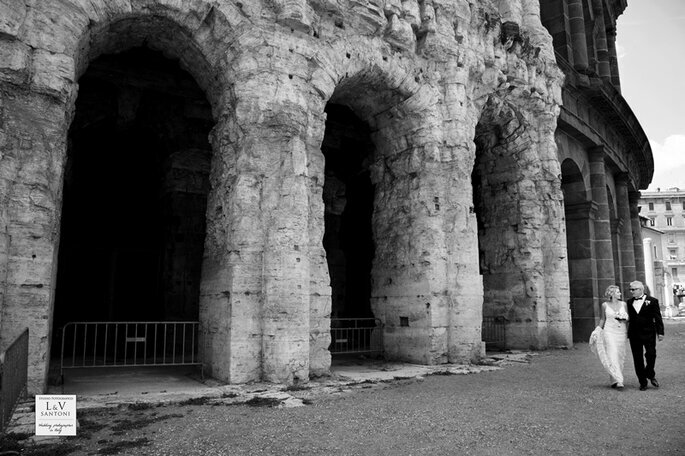 To help you choose, we’ve hand-picked the best possible locations in Rome. Enjoy! This luxury hotel is the perfect location to host your dreamy destination wedding if you’re looking for class, and unbeatable service. 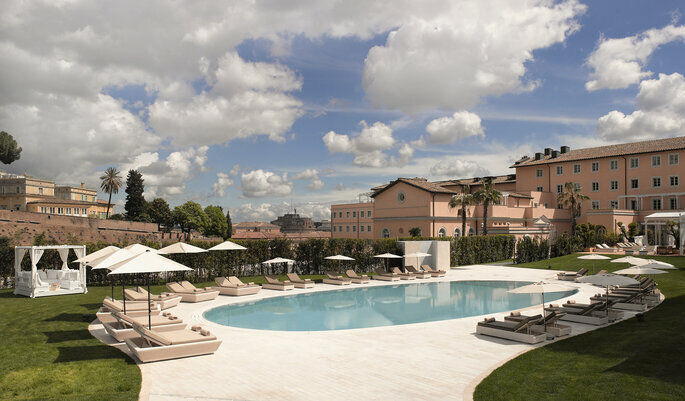 Located on the exclusive Villa Agrippina and only 5 minutes walk away from the Vatican and St Peter’s Basilica, it comes complete with beautiful, luscious gardens, a large and luxurious swimming pool, and a MyBlend Spa by Clarins. It also boasts a select range of fine dining options and meeting rooms all seamlessly equipped with the latest technology. Built in the 16th century, and situated on a hill overlooking the ancient city of Rome, this Villa gives couples an experience they’ll never forget. Villa Grazioli, is full of art masterpieces by famous Italian painters such as Ciampelli, Carracci and Pannini. So couples and guests can admire not only the amazing view, but also some incredible art. They say couples can “experience the typical atmosphere of an old aristocratic villa, while enjoying the comfort and technology of a modern hotel”, which is perfect for millennial couples who want couples who want wedding photographs with a traditional backdrop. Couples get the chance to personalise their wedding however they want with the menu, and even their wedding cake! Style, elegance and comfort is the perfect trio that characterises this refined historic house built in 1873. 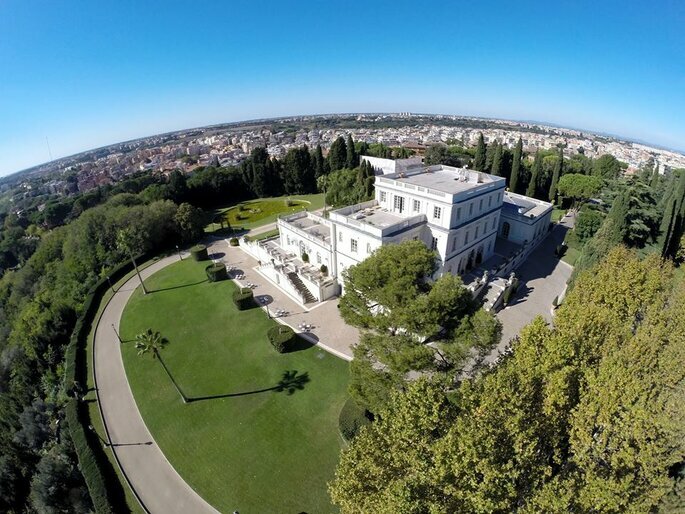 Surrounded by hectares of perfectly kept lawn, Villa Miani offers a unique and spectacular view of Rome from the top of the hill overlooking Monte Mario: giving you the option for an outdoor ceremony to enjoy a breath-taking view of the Italian capital. Impeccable service and the highest quality of food complete this wonderful building, where the horizon seems to touch the dome of St. Peter. 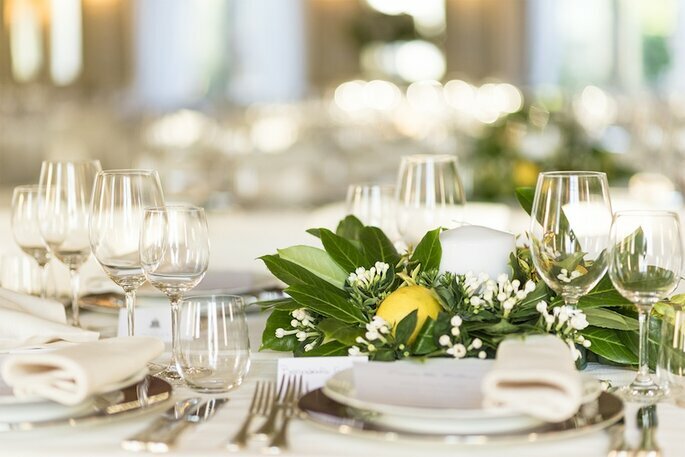 The spacious rooms and large outdoor spaces, including terraces make it the ideal setting for an unforgettable wedding celebrated with your friends and family. 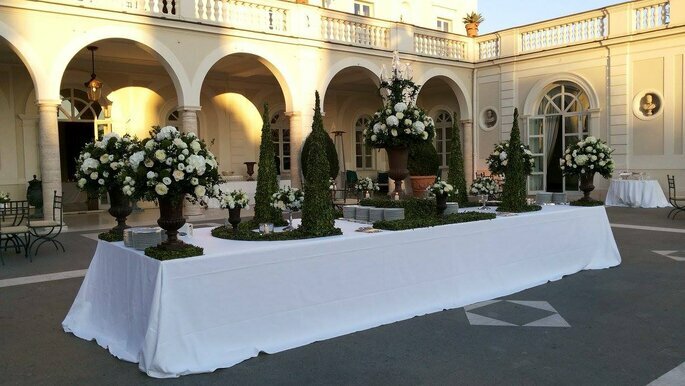 Among the best hotels for weddings in Rome, Palazzo Exedra is a spectacular property and the perfect place for a chic wedding. The Palazzo Exedra, is a magnificent nineteenth-century building that is located in the heart of Rome, along with the Diocletian Baths and the infamous Basilica degli Angeli by Michelangelo. 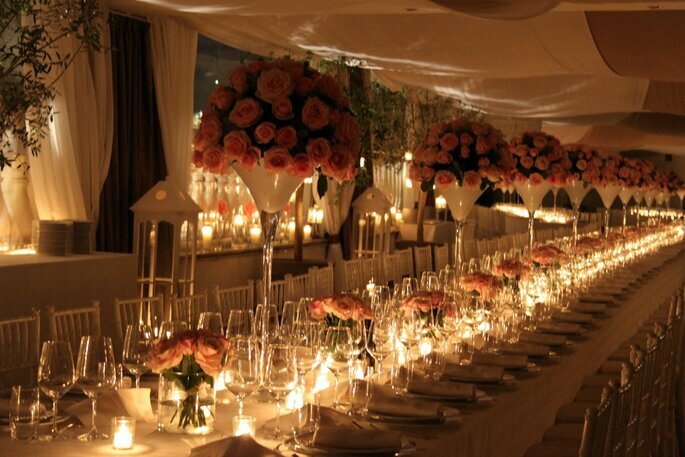 A dream venue, which offers its brides an experienced wedding planner who will take care of all the details, for example a banquet service capable of offering the most refined of menus thanks to the creativity of its world renowned chefs. 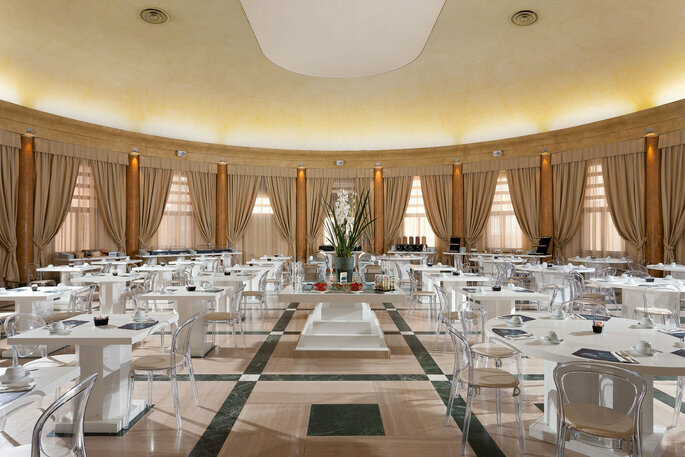 The impeccable service along with the friendly staff and an unforgettable panorama view of Rome ensures that you and your guests will be left speechless. An authentic neoclassical jewel located in the heart of Villa Borghese, a short distance from the Spanish Steps and Piazza del Popolo. 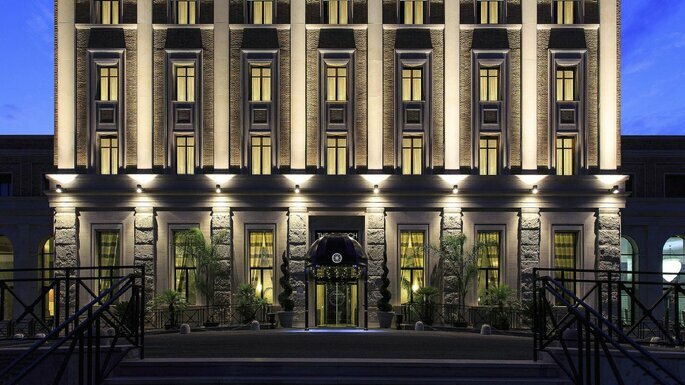 Built in the seventeenth-century full of glamour and luxury. 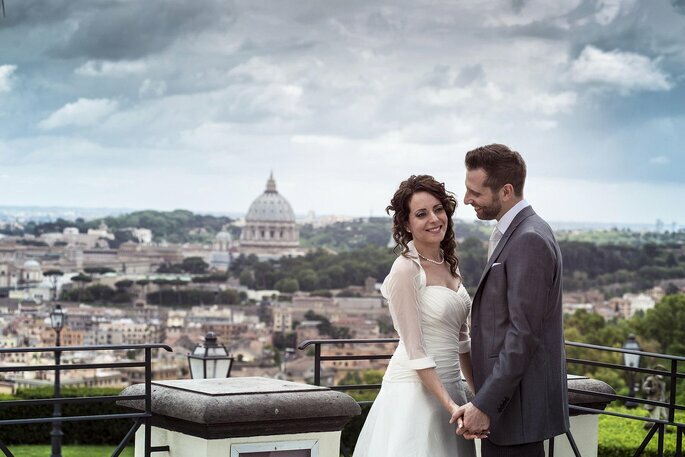 It stands out for its incredible four corner terraces from which you can admire a magical view of Rome: Can you imagine a better place to make your wedding toast and greet your guests? Its Great Gatsby-esque! 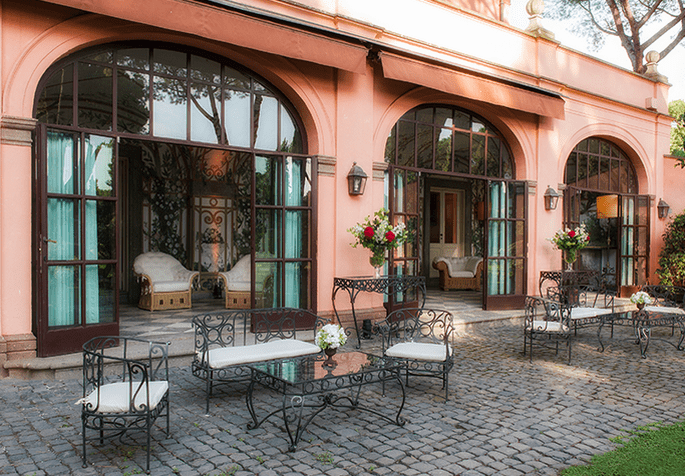 The Ripolo Estate is a venue fit for a king. 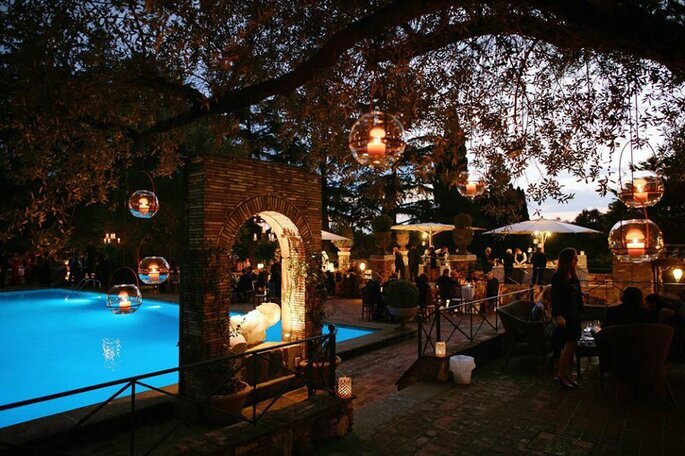 Located just on the outskirts of Rome it is divided into two main buildings: the reception room and the manor house. The reception room has a capacity of more than 500 people. It’s a real paradise for you and all your loved ones and with the division it almost feels as if you have a two separate venues, a luxury very few ever experience on their big day. In the opulent spaces of the Manor House, we find three beautiful terraces, a wood-burning oven for pizzas and an area dedicated for a traditional grill al fresco. An ideal way to spend the night with your guests accompanied by delicious food, not to mention that the open spaces can accommodate up to 700 people so no one needs to be left behind. 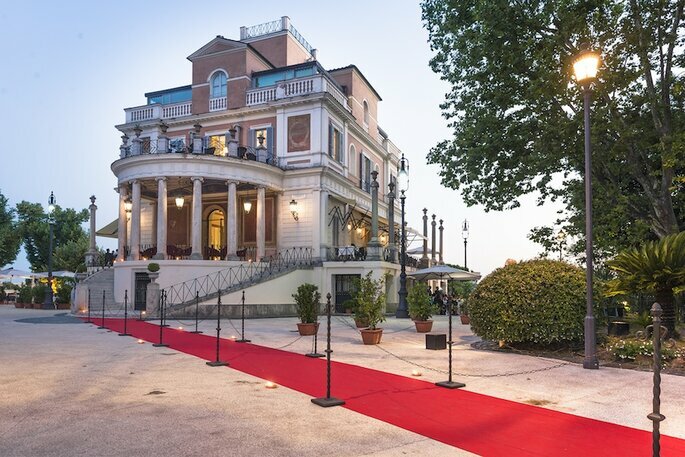 Elegance and refinement are the principle ingredients of this charming four-star hotel housed in a Renaissance palace in the stunning setting of Villa Carpegna Park. The attractive setting and the perfect blend of history, art and nature make The Church Palace the perfect setting to host a truly fairy-tale wedding. Renovated to meet the needs of the modern guest, offering the unparalleled comforts, gourmet food in its restaurants: behind the beautiful cloister in the heart of the hotel, is a great three-aisle Church, enriched with solid green marble colonnades. Surrounded by pines, cypress and olive trees you’ll be transported back to the antiquity of the Roman Empire, as the incredible park on this important Roman imperial road really makes us feel though we’re in the midst of Emperors’ past. 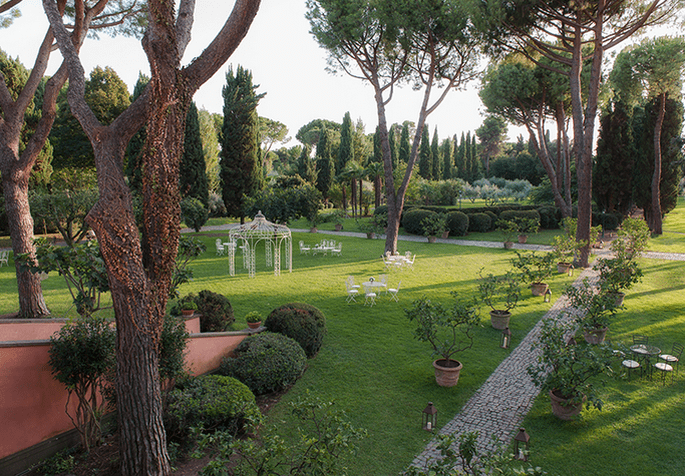 Relais Appia Antica is a structure that boasts elegance in its architecture and its furnishings alike. 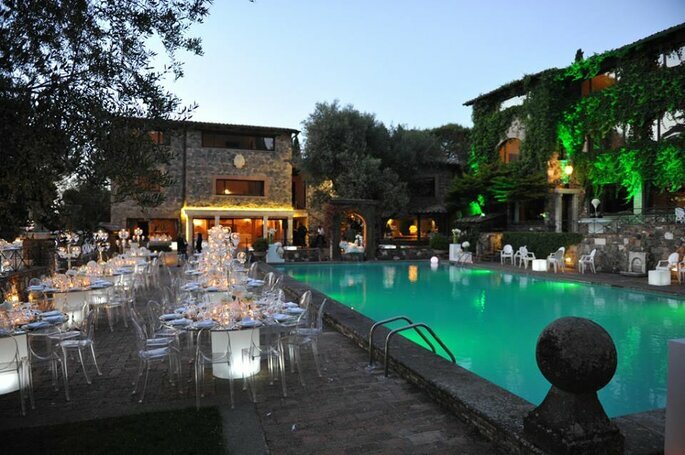 A suitable location for weddings of all themes and sizes, the Relais Appia Antica is a magical spot that makes your dream wedding a reality. With the 5 star suites you and your guests can relax after all the festivities and indulge in all the luxuries of such a divine venue. When you were younger the dream of getting married where princes and princesses had done so must have seemed inconceivable. That was something that only happened in Disney films…wrong! 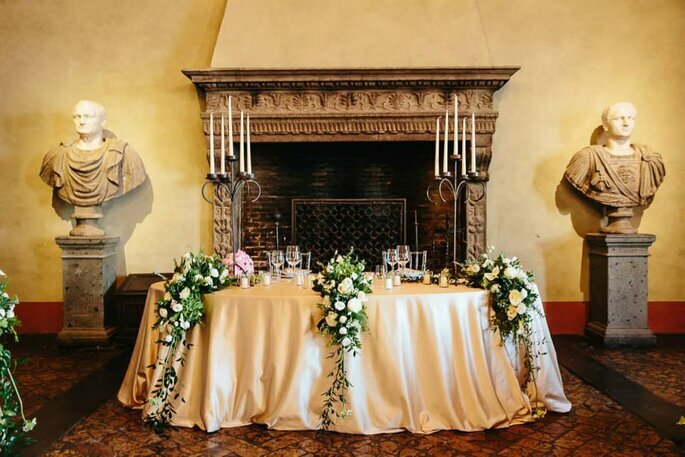 Castello Odescalchi di Bracciano has hosted many regal weddings and would be the perfect venue for yours. Dukes and duchesses, princes and princesses have crowned their dream here, with ceremonies celebrated in the annex of St. Stephens Cathedral with magnificent receptions. 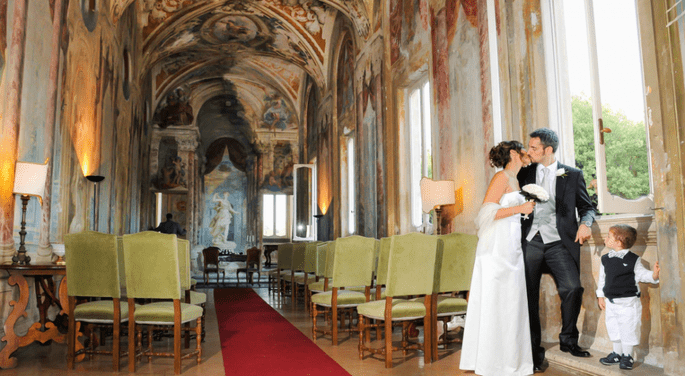 You can celebrate your love for one another in The Barn Castle, with a wedding dinner in the Giardino Segreto (Secret Garden) or Antiche Cucine (Ancient Kitchens), or celebrate a very formal wedding in the armory of the Castle, with great feast in the Sala dei Cesari (Hall of the Caesars) or in the Corte d’Onore (the Court of Honour). In the quiet countryside, twenty minutes from the centre of Rome, in a traditional village that welcomes its guests warmly and makes them feel a part of their small community. In the countryside, in the heart of the Bosco di Baccano estate, we find the village of Merluzza. 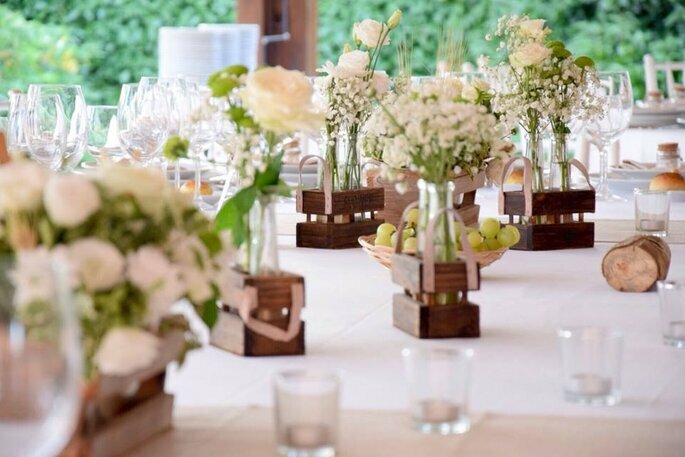 The Borgo della Merluzza is so adaptable that it doesn’t matter what the theme of the wedding is, you can be sure that this venue will be fit for any ceremony. Not to mention that you can take in the fresh air of the Roman countryside and have a relaxed evening with your closest friends and family. 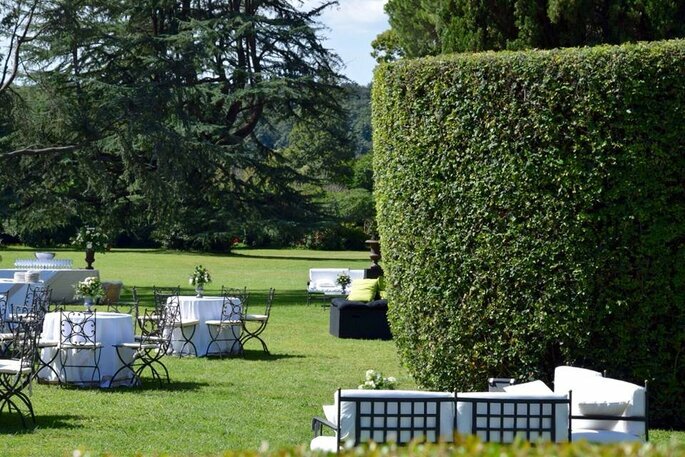 Situated between Lake Bracciano and the ancient Terme di Stigliano, Borgo Le Grazie is set in a 12-hectare estate, with a stunningly beautiful park that is home to trees as old time and oak woods which offer awe-inspiring views. There is also pool area, lounge corner in the forest, fountain garden, the ancient lemon tree and beautiful rooms inside making sure you will be spoiled for choice! 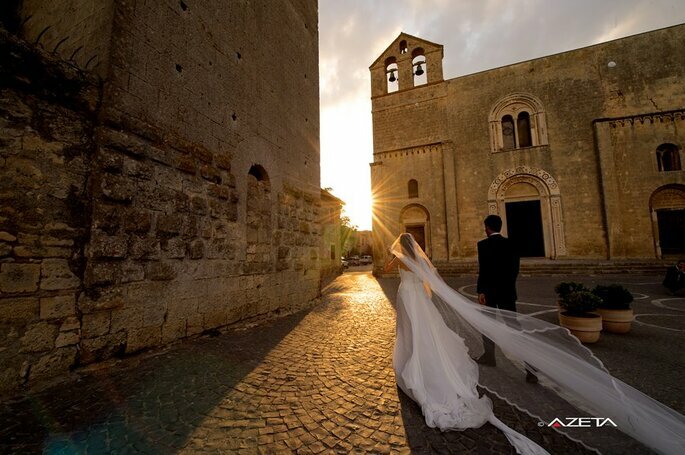 We must mention that the historic Church of the Madonna delle Grazie is available for couples to celebrate their love and is actually inside the villa itself: who could ask for more from the location of their wedding? In the heart of the Appia Antica, an honorable mention goes to Villa di Fiorano, a stately home surrounded by nature and elegance. 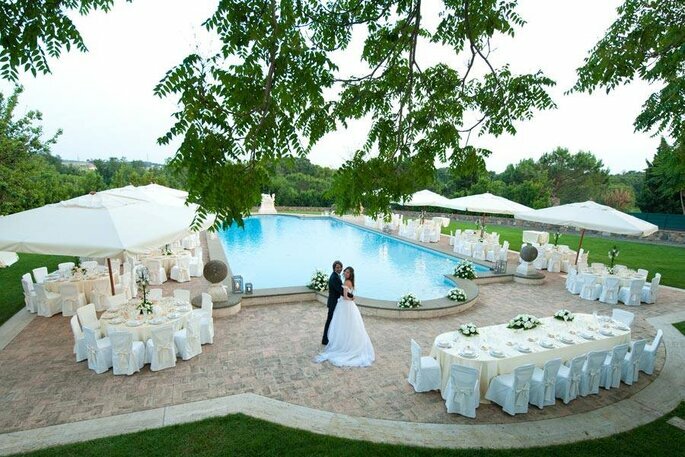 From serenity of the impeccable gardens to the royalty of the interior, adorned with paintings, tapestries and marbles of great value, Villa di Fiorano is a location that offers each of its newlyweds style and professionalism, ensuring that every moment is unique and every tiny detail is taken care of. 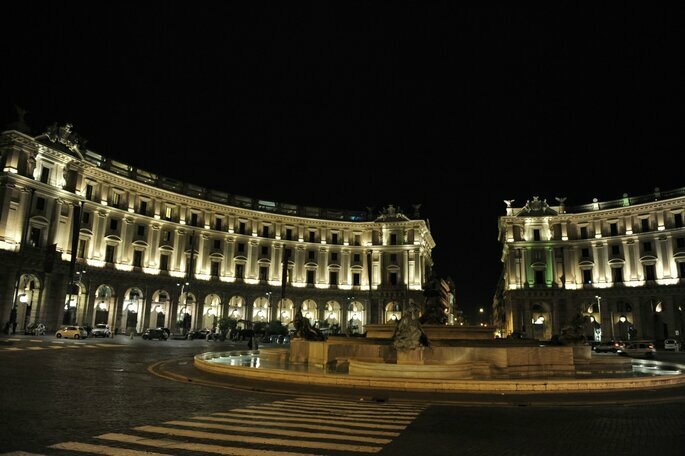 In the heart of the Italian capital, history, art and culture are awaiting you. So, what do you think of our selection? If you have travelling guests, do not forget that in your Zankyou website you can give suggestions of neighbouring hotels for them to stay in, but also prepared itineraries complete with maps and photos, so that they can discover one of the most beautiful cities in the world. In this regard, visit www.turismoroma.it, the official tourism website of Rome which offers all the possible tourist information needed about the city. Still ‘umming’ and ‘aahing’ over a Destination Wedding? Click here. Click here to see Antonio and Arianna’s Rome Destination Wedding.